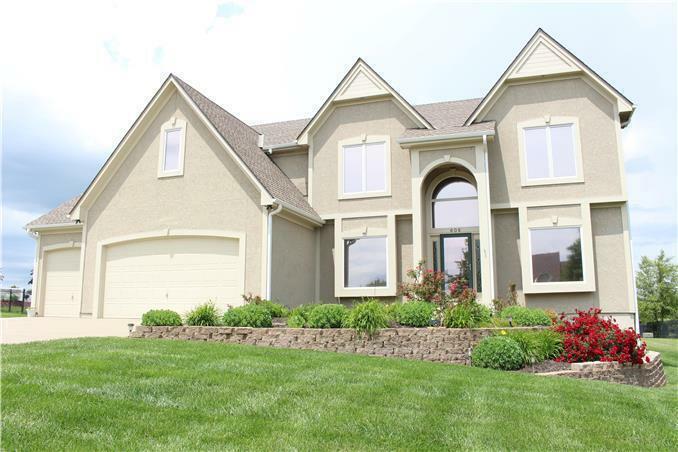 Picture yourself in this spacious home on a 1.1-acre lot! Open layout, lots of windows. Large kitchen with stainless steel appliances, walk-in pantry, large breakfast room. Double-sided fireplace (kitchen, living room) Green space beyond back yard. Office with lots of built-in cabinet/shelves. Laundry room by bedrooms! Zoned heating/cooling for overall comfort and lower utility bills. Directions: From 49 Hwy: At 58 Hwy (Belton/Raymore Exit), head east to J Hwy/Kurzweil (4 mi). From 291 Hwy: At 58 Hwy, head west to J Hwy/Kurzweil (3.5 mi). Go South onto J Highway. At Lucy Webb Road (0.5 mi), turn right. At Horizon Parkway (0.3 mi), turn left. House is fourth on the right.